The SPLC praised officials at an Alabama high school for restoring the right of a student to wear a T-shirt expressing acceptance of lesbian, gay, bisexual or transgender (LGBT) people. The SPLC praised officials at an Alabama high school today for restoring the right of a student to wear a T-shirt expressing acceptance of lesbian, gay, bisexual or transgender (LGBT) people. Earlier in the day, the SPLC sent a letter to Hoover High School and the city’s board of education demanding that school officials stop censoring students or face a federal lawsuit on behalf of its client, Sara Couvillon. Hoover High is located in a suburb of Birmingham. Couvillon, a sophomore, was told by school officials that she could not wear a T-shirt that displayed the slogan “Gay? Fine by me.” School officials claimed they were concerned for her safety. But Couvillon, 15, said she had not experienced threats of violence. In fact, Couvillon had routinely worn the T-shirt during the previous school year without incident. As noted in the SPLC letter, a federal court previously ruled that a Florida school board could not prohibit students from wearing pro-gay symbols or slogans, including the same expression that was on Couvillon’s T-shirt. That case, Gillman v. School Board for Holmes County, Florida, resulted in the school district paying $325,000 in attorneys’ fees to the student. 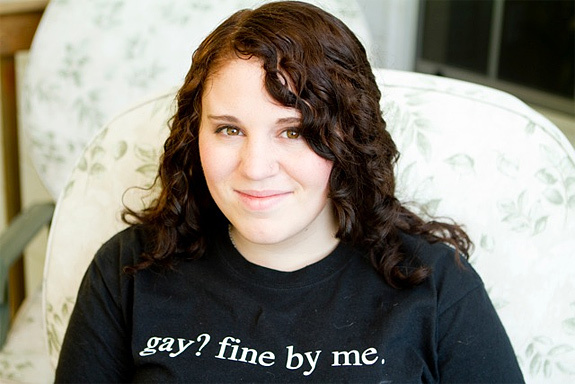 The SPLC thanks the Alabama Safe Schools Coalition for alerting us to Sara’s situation. The SPLC is part of the ASSC and supports ASSC’s efforts to provide training and improve state policies relating to LGBT students in Alabama.